Google warned us not to run this story too. The Russian Defense Ministry has accused the US-led international coalition of “simulating” the fight against ISIS in Iraq. The coalition conducted fewer airstrikes in Iraq in September while well-armed terrorists crossed into Syria, Moscow added. For the past week, the focus of the Russian-led air campaign in Syria has been to annihilate terrorists in the city of Al-Mayadeen, one of the terrorists’ last strongholds southeast of the city of Deir ez-Zor. Despite being almost encircled by the Syrian Arab Army (SAA) in Al-Mayadeen, Islamic State (IS, formerly ISIS/ISIL) terrorists continue to replenish their ranks and supplies in the Euphrates Valley, where the US-led Syrian Democratic Forces (SDF) are conducting their own operation against terrorists in the resource-rich region of Syria, the Russian Defense Ministry said. According to last week’s estimates the Syrian military, with Russian air support, had liberated over 90 percent of Syria from IS forces. Stressing that no one really doubts the inevitable defeat of IS terrorism in Deir ez-Zor, the Defense Ministry on Tuesday has questioned the US-led coalition’s anti-terrorist effort in Iraq. “The ongoing fueling of terrorists from Iraq raises serious questions about the real objectives of anti-terrorist operations conducted in the region by the US and the so-called ‘international coalition’ jets,” the ministry’s spokesman, Major General Igor Konashenkov, noted in Tuesday’s statement. Konashenkov wondered if the US-led anti-IS coalition had changed its priorities in Syria “to complicate as much as possible” the Syrian Army’s operation to liberate the territory east of the Euphrates River, or if the US plan envisages driving all IS terrorists into Syria where the Russian Air Force will “take care” of them. “The US-led coalition, which is simulating the fight against ISIS, primarily in Iraq, sees all this but continues to supposedly actively fight against ISIS, for some reason in Syria,” the spokesman said. The statement stressed that in the US-led coalition’s area of responsibility in the western part of Iraq, where Russian jets are not engaging terrorists, the area under IS control is already “several times larger than in Syria” and continues to expand. 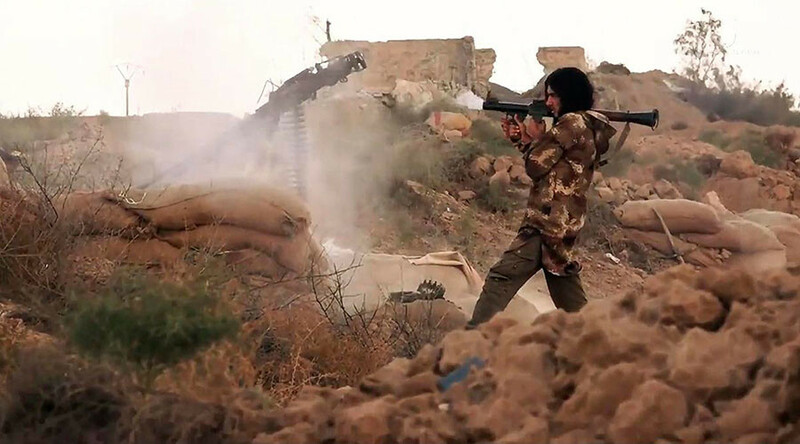 Russia believes that IS is using this springboard in Iraq to transfer fighters into Syria. The rate of US-led strikes against ISIS targets in Iraq has sharply decreased as Syrian forces close in on IS positions in Deir ez-Zor province, the Defense Ministry said, citing the open data provided by the Combined Joint Task Force – Operation Inherent Resolve. 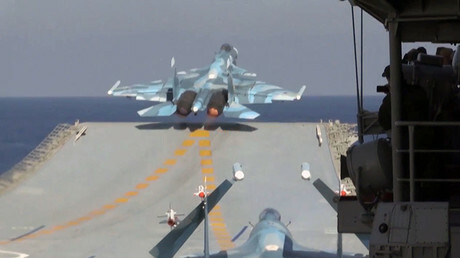 In some cases, Konashenkov noted, US-led planes reduced their daily intensity of attacks on ISIS targets in Iraq by five times compared to the engagement in Syria. “The timing of this decrease in intensity of [the US-led] strikes in Iraq, in a strange way, coincided with the transfer of ISIS [militants] to Deir ez-Zor from the border areas of Iraq, who are now trying to gain a foothold on the eastern bank of the Euphrates,” Konashenkov said. The spokesman also wondered why the US-led coalition froze its military operation to retake the city of Raqqa, which was long touted as the main US battleground against IS in Syria. The continuous reinforcements of terrorists in Syria are making Russian Air Force work overtime to help the Syrian Army to retain and “substantially expand” its control of territory in Deir ez-Zor province. Over the past week, Russian jets have intensified their sorties, conducting surgical strikes against terrorist convoys coming from Iraq into Syria up to 150 times per day. Moscow noted that the Russian Air Force has “destroyed the economic infrastructure” of terrorists in Syria and “suppressed” all illegal oil extraction and trade, which served as one of the main pillars of IS economic activity in Syria. Meanwhile, the Syrian Army advance made it impossible for terrorists to find new recruits and weapon supplies inside Syria without relying on reinforcements from abroad. Previous Previous post: If you’re not on a government watch list by now you should be ashamed of yourself!